Rangers and Aberdeen were each held to second successive draws in the Scottish Premiership yesterday by their respective opponents. Kilmarnock continued their unbeaten run in the league against Rangers under Steve Clarke’s management whilst Livingston held on for a point at Pittodrie. Hearts stumbled to their third defeat in five league matches against Hamilton. That win was vital to the Lanarkshire club’s hopes of staying up, but for Hearts it allowed Hibs to close the gap on them to 2 points. St Johnstone v St Mirren was called off due to a water-logged pitch meaning the bottom side remain rooted to the foot of the table. The Perthshire club meantime have dropped to 9th in the league with Livingston drawing level on points with a better goal difference. Which brings us to roundly to today’s match at Dens Park. Celtic make the journey to face second bottom, Dundee. It hasn’t been the best of seasons for Dundee after they sacked Neil McCann in October last year. He had stepped in for Paul Hartley who was sacked in April 2017. 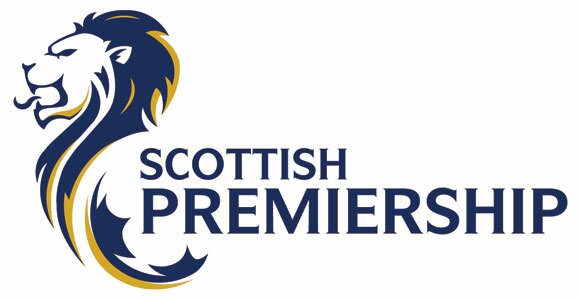 Now Jim McIntyre has been tasked with keeping the club in the Premiership. So far this season he has suffered 5-0 (home) and 3-0 (away) hammerings by Celtic. 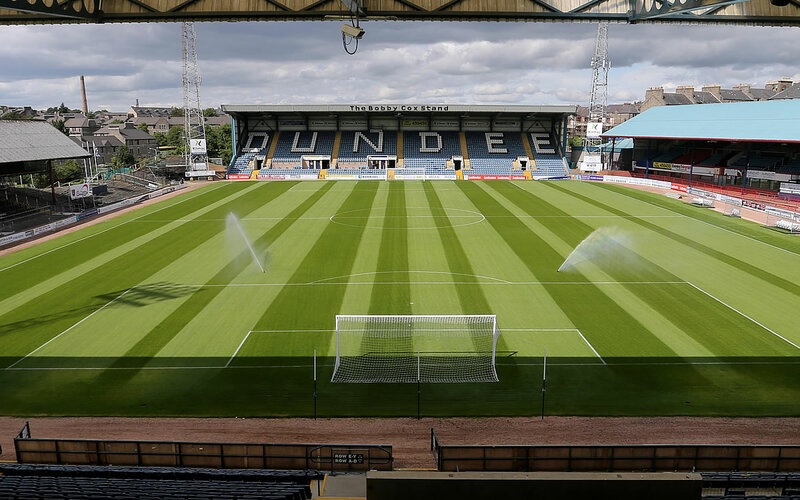 Even with a recent managerial change by today’s visitors, it is unlikely that Dundee will prevent what should be a relatively straightforward three points for Celtic. The champions have players returning from injury at just the right time and we will continue to see Neil Lennon put his own mark on the way this squad is set up. Despite the draw with Aberdeen last week, there is a chance to make some alterations in the starting eleven. Neil got it wrong against the Dons and he will be keen to establish a ten point lead going into the international break. He needs to freshen things up a little. Add some vigour to see off Dundee so I reckon he’ll go with Burke and Edouard in attack. There may be a break coming up for some of the team whilst others go off to play for their respective countries, but it would be good to notch up a few goals against Dundee. Neil is more than capable fo getting the right blend to inflict a barrage of goals against he opposition. He is still tinkering with the team whilst utilising John Kennedy’s first hand experience with the players. Dundee will be hoping to take advantage of St Mirren’s postponed game yesterday to put a gap between them, but Celtic should also be looking to put Dundee to the sword. Scott Bain, Mikael Lustig, Kieran Tierney, Kristoffer Ajer, Dedryck Boyata, Scott Brown, Nir Bitton, Scott Sinclair, James Forrest, Oliver Burke and Odsonne Edouard. If the game goes Celtic’s way early on, I reckon Neil will be swift in swapping out some of his starters to allow those who have been on the periphery to be given a chance. Let’s not mess about today Bhoys and just take us ten points clear. With four games left before the Scottish Premiership divides, a portion of teams will be fighting it out for places in the top six and for survival in the top flight lower down the league. In its history, the split generally hasn’t had much of an impact on the destination of the title but it has thrown up one or two decent season finales. Last season was the tightest it has been in years when Celtic won by a margin of 9 points. You have to go back to 2010 when Rangers pipped Celtic to the title by a single point before going into liquidation the following year. In between those seasons, Celtic have won the other six titles by an average of 19.5 points. The largest margin in that period being the 30 point gap amassed during their invincible season of 2016-2017. At the moment, there are currently 8 points between Celtic and Rangers. Aberdeen are 7 points behind Rangers in 3rd place and it looks as though the Derek McInnes might have to concede 2nd place for the first time in four seasons unless things continue to go their way against Steven Gerrard’s side, who are now said to be concentrating on the league. Steve Clarke’s Kilmarnock are just 1 point behind the Don’s in 4th place so there is a bit of a battle going on there. It’s also worth noting that Hearts are only 3 points behind in 5th place and could quite easily find themselves in a three-way battle for 3rd position. Celtic don’t play until Sunday when they travel to Dundee. The rest of the Premiership games take place this afternoon. Rangers host Kilmarnock, Aberdeen host Livingston and Hearts are away to Hamilton so those margins could look very different depending on today’s results. The most interesting match this afternoon will be at Ibrox. Kilmarnock were battered 5-0 at Ibrox in the Scottish Cup last month. They conceded an early goal in that game, but their challenge became near impossible when they went down to 10 men in the 25th minute. They conceded one mroe goal before half-time and a further three in the second half. It was also the game where Steve Clarke spoke out about this sectarian abuse he recevied as he stood on the touch line. What is worth pointing out, if it needs to be, is that under Steve Clarke, Kilmarnock have done very well against Rangers. In fact, the only time he has lost was that cup replay, having drew 0-0 at Rugby Park. 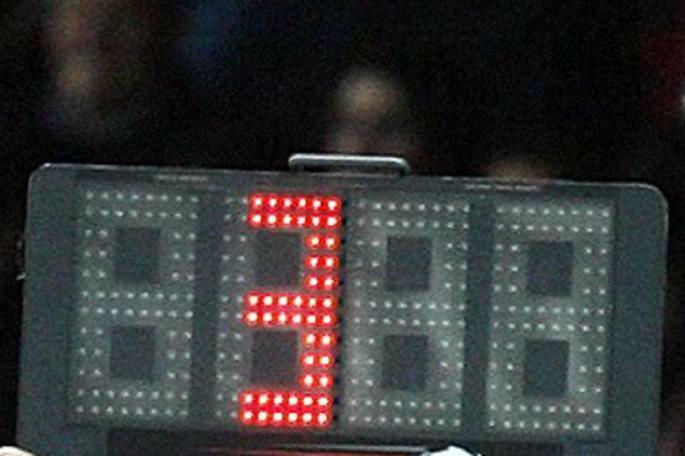 Clarke’s league record at Ibrox is P3 W1 D2 L0. At home against Rangers in the league it’s P2 W2 D0 L0. Is there a chance he could put the brakes on Gerrard’s crew today? I don’t see why not, especially after the manner of the last game. I expect Aberdeen to win today and if they do, they might even be closing the gap on Rangers. Although the Scottish Cup is their only chance of silverware, they won’t want to give up 2nd place easily. What of the rest of the league though? I haven’t discussed Hibs who are currently in 6th place, just 5 points behind Hearts. Personally, I don’t think they’ll catch their Edinburgh rivals now. They have a good chance of staying in the top six though. Motherwell are 2 points behind the Leith side in 7th position, St Johnstone have slipped down to 8th, also 2 points behind, and Livingston are 1 point behind them in 9th place. That leaves the bottom three clubs who are battling for survival. By the looks of it Hamilton (21 pts), Dundee (18 pts) and St Mirren (17 pts) will be slugging it out. They are in the drop zone whilst the rest of the league remain safe. After this weekend it’s the international break. Good for some, not so good for others. Under new management, this could actually be good timing for Celtic. 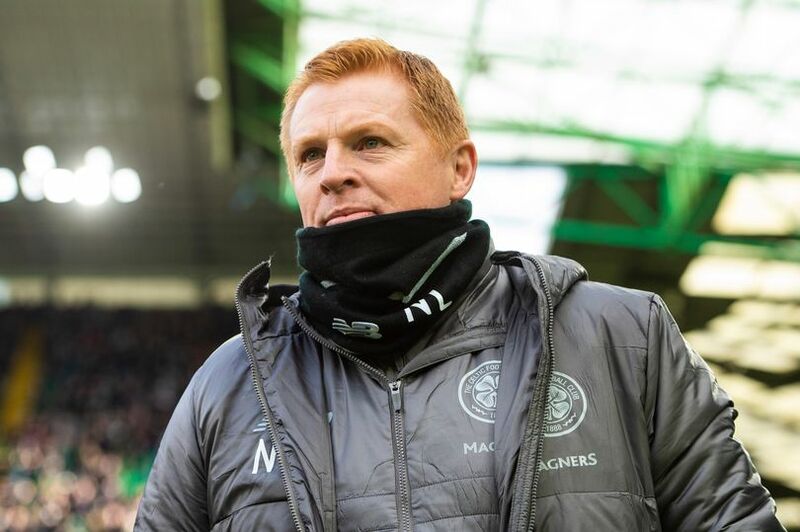 Neil Lennon spoke about injuries recently and is beginning to see players return to action including Olivier Ntcham, Callum McGregor, Filip Benkovic and Tom Rogic. He also has players such as Vakoun Bayo, Armstrong Okoflex and Karamoko Dembele to call upon before the end of the season, should he wish to. By the time the international break has passed Celtic should be largely full fit with the exception of a few. That is good news considering when they do return, it will be at Celtic Park against Rangers. That result will go a long way to shutting the door on the Ibrox club if it hasn’t been already. After that, Neil Lennon has Livingston and St Mirren to play before the league splits. By that time, I am predicting a greater gap than the current one. Kilmarnock might aid that by taking some points at Ibrox today. Then it’s down to us, Hearts and Motherwell after the break. All eyes on Ibrox. Over to you Mr Clarke. Neil has immediate challenges to contend with but will they extend beyond this season? Neil Lennon is now three games into his second spell as Celtic manager. Having drawn blank with Aberdeen at the weekend, the euphoria that engulfed his first week back at the club, has now received a small dose of reality. The season is far from concluded, but there are just nine games left to play in the league. Barring any major many slip ups, Neil and the players should deliver an eighth straight title for the club. That journey began with the former club captain in his full second season as Celtic’s permanent manager back in 2012. He has a chance to add to that tally in 2019 as the club’s caretaker manager. Neil’s other goal is the road to Hampden. A quarter-final win at Easter Road placed Celtic in the semi final with the winners of tonight’s replay between Aberdeen and Rangers. Whichever team progresses from that match, stands between Celtic and a third Scottish Cup Final in a row. Neil Lennon doesn’t have the momentum that his predecessor had in his back pocket though. There’s no doubt that he was our go to man the other week. We’re also extremely fortunate that he was out of work. Had he not been, there’s every possibility Celtic could have dropped more points or out even gone out of the Scottish Cup. It’s fair to say that John Kennedy has been a constant in the dugout for the last five years and would’ve been the making of him had he been handed the interim role. I don’t think I would have wished that upon him though. One day, that might be his challenge, but right now he can offer his assistance to a man who has been there and done it already. Whatever Neil thinks of himself now as a manager, he must focus purely on winning. Not for himself, but for the players and the fans. There’s part of me that can’t see past Neil as manager again. Primarily because of his connection with the club. More over, he stated that he saw himself back at the club one day, just that he didn’t expect it to be this soon. And due to that early comeback, does that mean it’s now or never? There’s also a concern that Celtic could see Neil as an easy choice. Someone familiar with the club and could possibly hit the ground running without too much of a financial burden. That could sit well with many on the board. Unless they have other candidates in the pipeline. However, in Neil’s absence the club have moved on. Yes, he knows a fair amount of this team and the non-playing personnel at the club, but the club has been trying to evolve. Ronny Deila was unpopular for trying to make radical changes behind the scenes. After two seasons he was gone, but Brendan Rodgers maintained and built upon those standards without the same resistance. Those were not standards introduced by Neil. He’s a different kind of coach. My worry is that if he isn’t a believer in the 24 hour athlete would he change course? We don’t want to be moving backwards. I’m not saying this Celtic squad is the finished article, far from it. The one thing that Celtic had to do was change the culture in diet, fitness and lifestyle. Why? Because of the standards in clubs across Europe. If Celtic truly want to make in-roads on the continent we have to aspire to those standards. From the training ground to the canteen. The question is, would Neil embrace that? He decided to call it a day at the point Ronny Deila was coming on board in one capacity or another. It was only Neil’s departure that allowed Ronny to step into his role for himself. You get a sense that Neil wasn’t overly welcoming of Ronny’s impending arrival five years ago. He had endured the worst that a football manager ever could have received and survived it all. In the end he left, but the dust had settled on a dramatic and often chaotic managerial spell. Since then he has held two managerial roles. Bolton Wanderers was a forgettable experience whilst at Hibs he did a great job, particularly against Celtic and Rangers. What might hinder Neil’s chances of getting the job permanently this time around is that Celtic are a better prospect to potential suitors now than they were nine years ago when he took over. Brendan Rodgers has added some kudos to the club and to Scottish football so there is greater attraction now. Neil’s hat is in the ring for sure, but Celtic may have other interested candidates and targets. The club have to ensure they are still moving forward and whilst Neil is the right man now, he may not be in come the summer. There is more at stake here than the club’s relationship with a man we all respect a great deal. Progression for the club is top of that list. Right now all focus must be on the league and the cup. 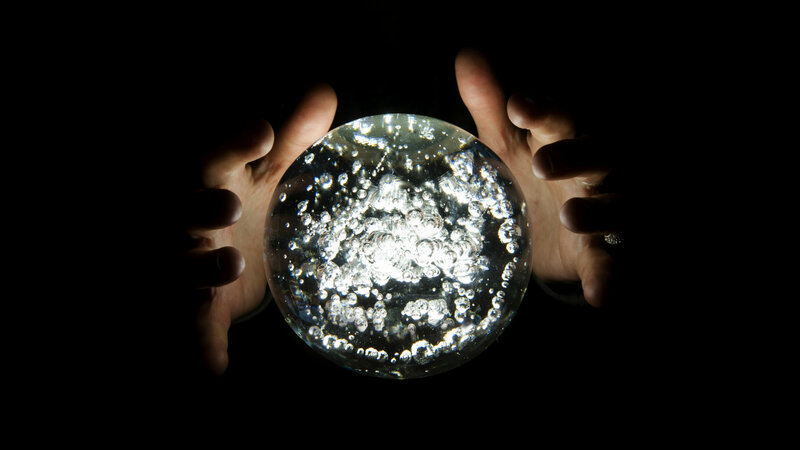 Ultimately, who is in charge come the summer will be decided by the board. Unless they have made that decision already. We’ll find out in the weeks and months to come.